A handy guide produced by Rebecca, our Work Experience student from Budehaven School. Delicious breakfasts, snacks, lunch, dinners and drinks. Scrumptious waffles and fro-Yo drinks. Grab a bowl of chips and a hot chocolate or smoothie. Enjoy their cosy wood burner and longue seating. Take a short trip down to Summerleaze beach and relax down in the natural sun heated pool. Race your friends down to the sea or do some lengths of the pool. Make a splash! Don’t worry about the awkward change after, use the ever helpful changing rooms at the top of the seapool then relax in the sun. Long day in town stop off and cosy up in Atlantic Diner’s surfer designed café. Warm yourself up with some incredible chips or curly fries. Cool down with a tasty thick milkshake. Get some inspiration as the professional’s show you how it’s done on the TV before you go riding the waves yourself. Talk and walk your way down the canal. Follow the ducks along; don’t forget the sheep as well! The canal can take you to the Weir too. Stop off for a lovely piece of cake and a drink. Watch the wildlife chat away to each other then go and visit the wonderful owls. Maybe go for a spot of fishing. Don’t forget to save time to show off your skills as some excellent instructors take you off road across the fields. As you take in all the stunning views, don’t fall off. Your friends will be watching! On your way for a surf or heading along the cliffs too Bude, just before, stop off for some amazing food at the very modern café. Complete with gorgeous views and the sound of the sea. Whether it’s ‘ladies who lunch’ with tea and cake or a tradition pasty you’re after, Widemouth café can satisfy that. The weathers let you down today? No need to worry this indoor park has got you covered! Bounce your way through the day. Wall to wall trampoline fun! Start this epic day by catching the bus from Bude and enjoy the fantastic of this indoor park. Fancy being adventurous? 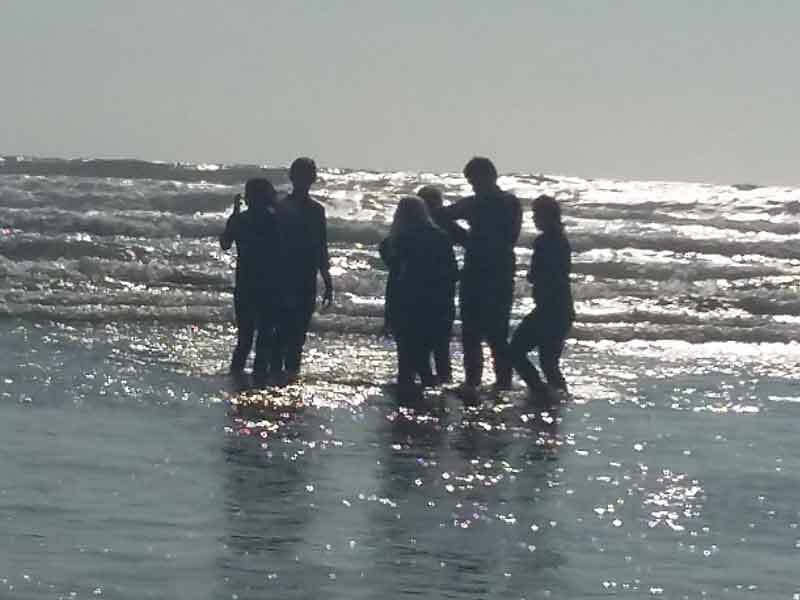 Get in touch with one of Bude’s many super surf schools or adventure schools and book a day filled of laughs and smiles. Big Blue, Shoreline, Raven, Freewave Surf Academy, Bude Surfing Experience or Outdoor adventure can all help to make your day one of the best adventure you’ve ever embarked on. End your day with an ever needed relaxing meal at Mumma Bear’s. Modern and delicious; surely there’s nothing more you would want. Bite into one of their succulent burgers or dip into a bowl of sweet potato fries. Then end your evening with one of Mumma Bear’s amazing deserts, chocolate indulgent or a fruit fanatic they’ve got you covered. Enjoy!